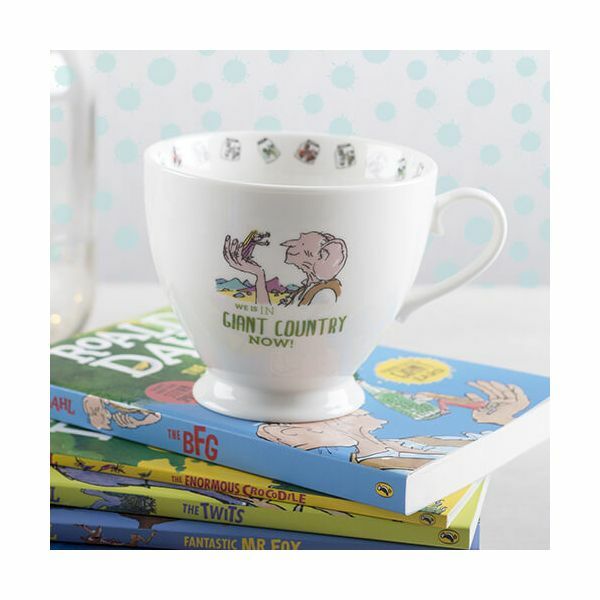 This Footed Mug is perfect for tea and coffee and features Sophie and the BFG exploring the magical giant country together. 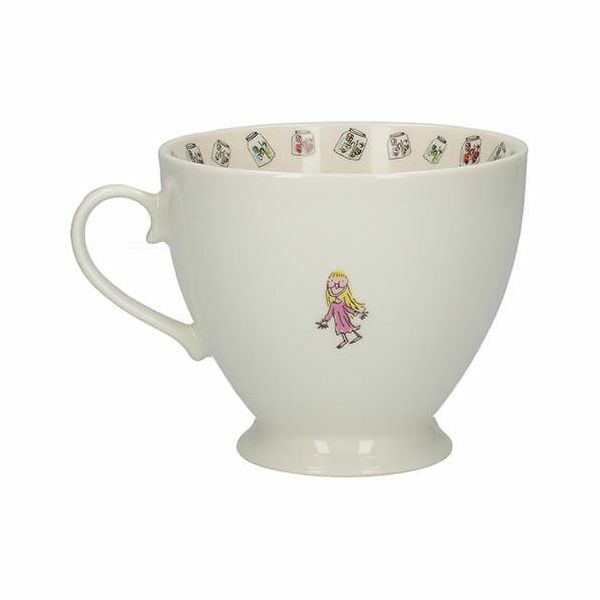 Made from fine bone china this illustrated story has tiny dream jars around the inside edge in delicate designs. 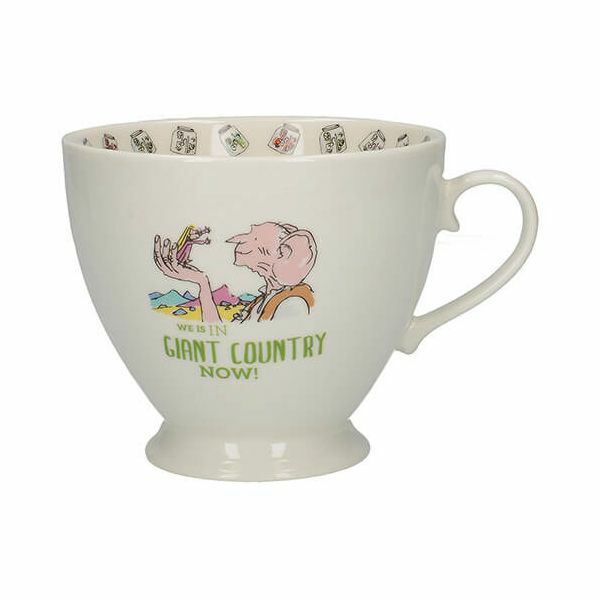 The side of this illustrated mug features the words 'We Is In Giant Country Now'.